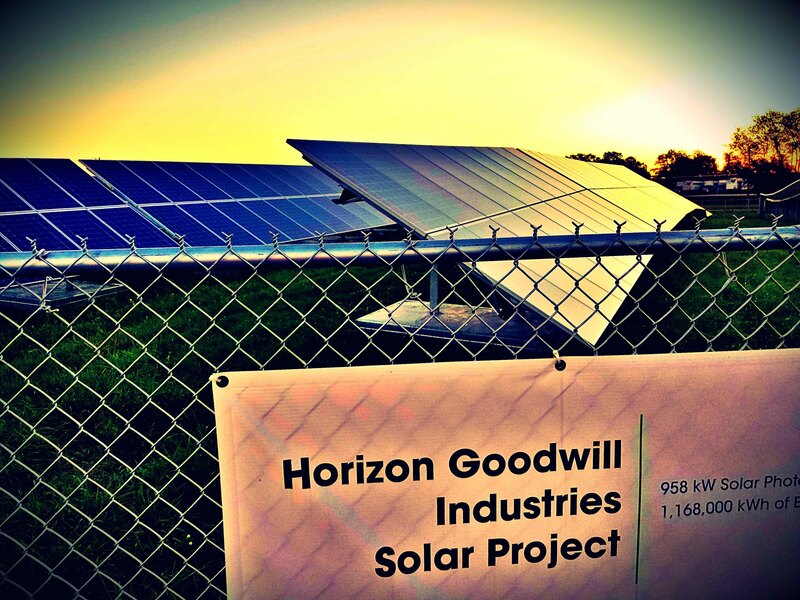 A little over one year ago, Horizon Goodwill Industries brought a 958 kW solar generating array online that was built in partnership with RER Energy Group, New Energy Equity, Pfister Energy, and WGL Energy. Despite the best available engineering calculations and weather predictions, a project that relies heavily on Mother Nature can be subject to some performance variance, so we have tracked the generation and consumption of electricity at our Maryland locations to see how it has performed in the first year. Happily, we can report that in the first full year of operation, the solar array exceeded its’ estimated annual generating capacity of 1.2 million kWh by just over 200,000, producing a total of 1,412, 311 kWh of clean, green electricity! But where did all that power go, you might ask? Since this is a non-storage system, any power that cannot be immediately used at our corporate offices is sent to the electrical grid for distribution to other locations. 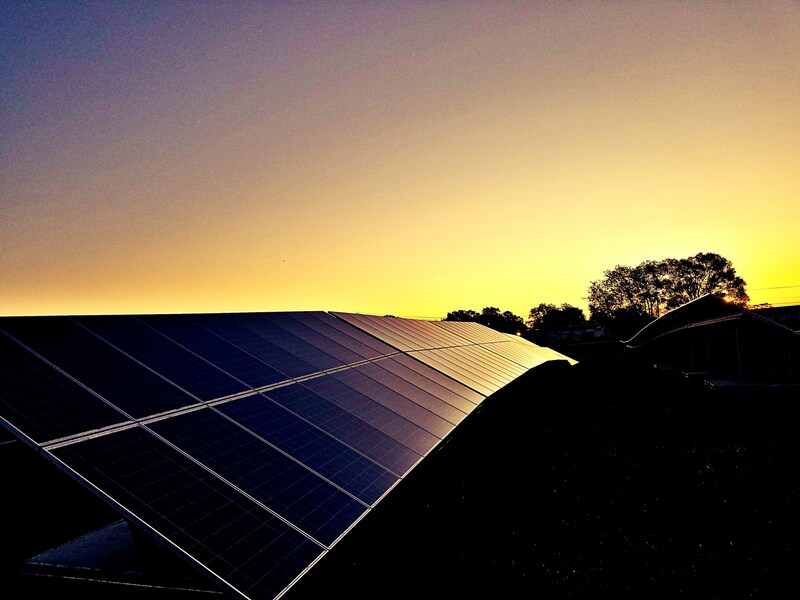 Through a program called Virtual Net Metering, we receive a credit for all excess energy that is applied to offset consumption at our other Maryland locations serviced by Potomac Energy. This is the really exciting part – during this same time period, our total electrical consumption at these facilities was 1,346,866, meaning that seven Horizon Goodwill facilities in Maryland that are part of this program were effectively operated entirely on sustainable green energy for the past year! According to calculations provided by WGL Energy, this equates to just over 2,000,000 pounds of carbon emissions prevented, 21,000 trees saved, and is the equivalent of 110,000 barrels of oil. Utilization of clean solar energy is one of our many energy-saving initiatives, such as LED light fixture retro-fits that have now been completed at four locations, that complement our long-standing recycling and re-use programs that encourage donating reusable goods instead of disposal. 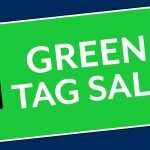 Horizon Goodwill Industries is committed to sustainable practices that improve our operating efficiency, protect the environment, and preserve natural resources for future generations while helping individuals to remove barriers and create opportunities for employment.